The Nobel Prize, detailed by Alfred Nobel in his 1895 will, seeks foremost to recognize “those who, during the preceding year, shall have conferred the greatest benefit on mankind.” And since 1901, the prize has acknowledged these inventors and innovators in the fields of chemistry, physics, medicine or physiology, peace and literature (economics was added in 1945). The prize is a concrete mark of an achievement as well as an indicator of which achievements the Stockholm committee believed were important to recognize in context of the historical period. Although some of these Nobel achievements are dissociated with their winners (how many people can name the Nobel laureate who classified the A, B and O blood types? ), an overall examination of Nobel laureates reflects the state of the world in which they lived. This was especially true for Jewish laureates. Their overrepresentation on lists of Nobel laureates represents far more than a list of impressive Jewish achievements; it evidences the currents of social change in the Jewish world. During particularly strong periods of anti-Semitism, Jews occasionally could overcome social limitations with Nobel Prize-sized over-achievements, but it wasn’t always enough to prevent the restrictions and laws leveled against them in Nazi Germany. The abundance of Jewish Nobel Prizes in America after the 1950s illustrates a geographical shift in the Diaspora, while the first Israeli Nobel Prize marked a dramatic change in Jewish self-identity. Over the years the relationship between Nobel Prizes and their Jewish recipients has varied, but through it all Jews maintained a definite and influential (if also changing) role in Nobel Prize history. Bloch and Feynman‘s involvement with the Manhattan Project. After Selman Waksman discovered streptomycin — the first effective treatment for tuberculosis — the disease all but disappeared from the United States within a decade and was drastically reduced throughout the world. Expectations of an Israel-Egypt peace treaty earned Israeli Prime Minister Menachem Begin a Nobel Peace Prize, while I.B. Singer introduced the world to the intricacies of the Polish shtetl with his novels and short storieswritten in Yiddish. Beyond highlighting remarkable achievements, JTA’s reports of Nobel Prize winners expose fluctuating historical and political forces that shaped the Jewish community. By investigating Nobel laureates’ stances on public issues, reaction to historical events, changing meditations on Jewish or Zionist identity, JTA articles show (both consciously and unconsciously) that Nobel laureates often faced the same sociopolitical issues that all Jews were confronting at the time. For instance, pre-Holocaust anti-Semitism surfaces in articles like this one, which voices public criticisms of Einstein’s science for “not being German enough.” And as the Holocaust rooted itself into in Europe, Nobel laureates like Landsteiner were forced to flee their countries for Britain or America, despite their internationally lauded accomplishments. This official German decree calls for the resignation of all Jewish professors and scientists, including Nobel laureates — proving that no Jew, no matter how well known, was exempt from the shackles of Hitler’s regime. The JTA also documented opposition efforts of Nobel laureates during the Holocaust, projecting some resistance to devastated Jewish communities around the world: the 1937 Nobel Peace laureate Viscount Cecil, who was not Jewish, in a 1937 article “urged civilized countries to open their gates to “[Jewish] refugeesfleeing from persecution, intolerance and barbarism.” Likewise, the French physics winner Paul Langevin, who had been incarcerated by the Germans and stripped of his professorship at a French college, publicly fought anti-Semitism by becoming the president of the League of the Rights of Man. And Thomas Mann, literature winner and German exile, visited and lectured at the the “University in Exile,” a U.S. haven for Jews banished from Nazi Germany, during the war years, symbolizing the sharp contrast between the growing influence of Jews in America and their disintegrating authority throughout Europe. feature Brooklyn orNew Jersey-born scientists rather than their European ancestors. At the same time, both the Jewish community and its Nobel laureates shifted their attention to the fledgling Israel. In this short brief, chemistry laureate Harold Urey proposes irrigation as an agricultural solution for the aridity of Israeli land. Waksman, who discovered streptomycin, helped transfer intellectual culture to Israel by setting up the Weizmann Institute of Science, which later became home to numerous Nobel Prize-winning scientists(both Israeli and otherwise). The Nobel Prize was no longer a tool used merely to validate Jewish laureates in an anti-Semitic world; winners instead could use their influence to work toward the communal purpose of the Jewish state. In time, an increasing number of Jews received the Nobel Prize for depicting their own Jewish identities. Israel’s first Nobel Prize in literature went to S.Y. Agnon, whose works had focused on Jewish history and tradition. 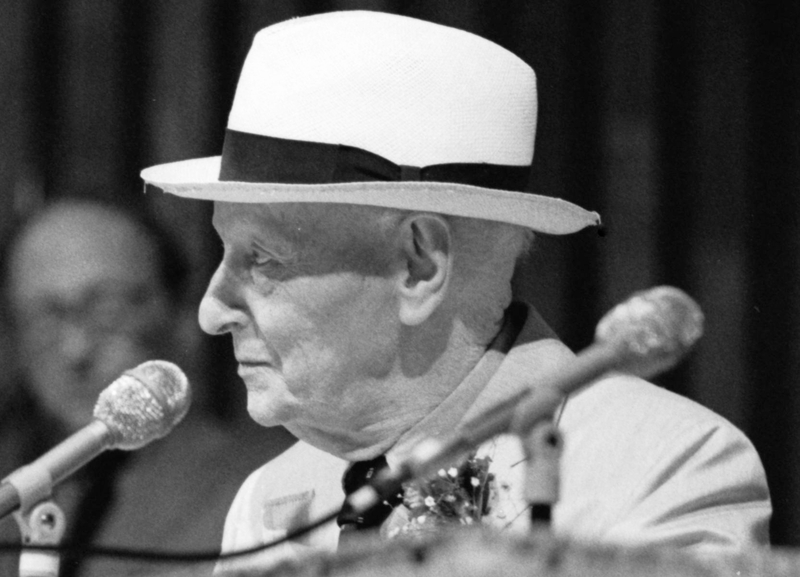 A tone of surprise is almost audible in this JTA report of Agnon’s acceptance ceremony, in which the novelist recited a Hebrew prayer and referred to himself as “a Jew from Jerusalem.” I.B. Singer, the 1978 literature winner, received his award specifically for “restoring the [Warsaw Jewish] ghetto to life”, the Swedish Academy stated. And for his efforts as a Holocaust speaker, author and activist, “ceaselessly striking the bells of collective memory, the pain of the murdered Jews,” Elie Wiesel was awarded the 1986 Nobel Peace Prize. Peace prizes, also awarded to three Israeli prime ministers, focused on Israeli and Jewish struggles, though they often were mired in controversy. After the Nobel committee awarded the 1978 peace pize to Begin and Egyptian President Anwar Sadat, JTA released an article analyzing a phone conversation between the two leaders. The article expresses the excitement stirred up by the award, but also hints at prevailing anxieties — peace with Egypt was still uncertain and some wondered if the Camp David talks had been superficial. In this case, the Nobel committee seemed to award the peace prize based on mere hopes for eventual peace. The JTA tracked the peace process — from Sadat’s controversial decision to send a representative to the Nobel Peace Prize ceremony in his place, to abreakdown of the ceremony itself. It wasn’t until the following year that the Egypt-Israel treaty was signed, making Egypt the first Arab country to officially recognize Israel. From Einstein to Agnon, treaties to atoms, and from Europe to Israel and America, Nobel Prizes have represented historical changes — on small and large levels — in the Jewish psyche and place in the world. Nobel Prizes have served as concrete markers of Jewish achievement. They have validated accomplishments by Jews in periods of anti-Semitism. They have also, as with Begin’s peace prize, provided hope for the future. Miriam Grossman is a student at Johns Hopkins University. She worked as a JTA intern in the summer of 2011.